Under the current regulations of the International Association of Athletics Federation (IAAF) only two Russian athletes have chances to participate in the 2016 Summer Olympic Games in Brazil, head of the (Olympic Committee of Russia) OCR’s legal department Alexandra Brilliantova told TASS on Sunday (July 3). “According to the current criteria of IAAF of June 17, only two Russian athletes have chances to participate in the Olympic Games in Rio de Janeiro,” she said. “IAAF now will consider applications from athletes. If CAS (Court of Arbitration for Sport in Lausanne) satisfies our application, the norm will be cancelled and the athletes will be allowed to the Games. “. IAAF may review the decision of June 17 if CAS satisfies application from the Russian Olympic Committee (OCR), Brilliantova said on Sunday. “IAAF has guaranteed, depending on CAS decision on the application from OCR protecting the Russian athletes, who want to participate in the Summer Olympic Games in Rio de Janeiro in 2016, they will review the decision,” she said. On June 21, head of the International Olympic Committee (IOC) Thomas Bach said that all Russian athletes, who will enter the Olympic competition in Brazil, will be allowed to participate under the national flag since they are representing the Russian Olympic Committee (ROC), which is a full-fledged member of the IOC. “When it comes to the Olympic Games, all athletes then are part of the team of the Russian Olympic Committee,” the IOC president said. The WADA Independent Commission published on November 9 last year the results of its probe into the activities of the ARAF, the Moscow anti-doping laboratory, the Russian Anti-Doping Agency (RUSADA) and the Russian Sports Ministry. 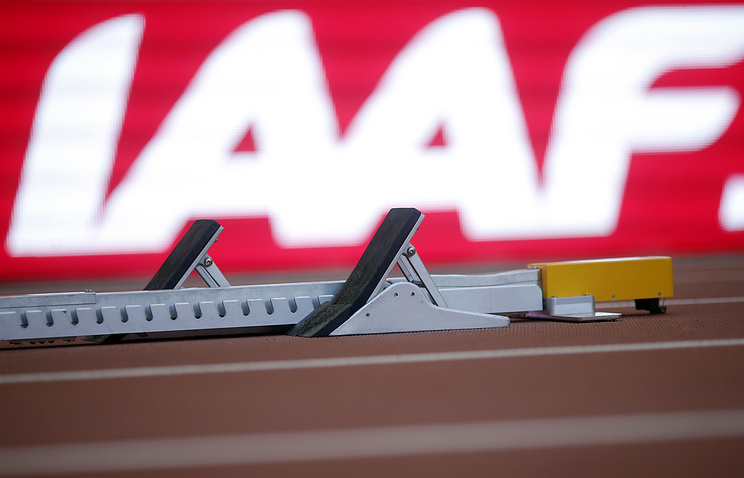 Eventually, the IAAF decided to suspend All-Russian Athletics Federation’s membership in the global governing body of athletics and put forward six criteria, which ARAF was obliged to implement to restore its membership. Starting this year doping control in Russian sports has been exercised by the Russian Anti-Doping Agency (RUSADA) strictly under the supervision of the British anti-doping agency (UKAD).